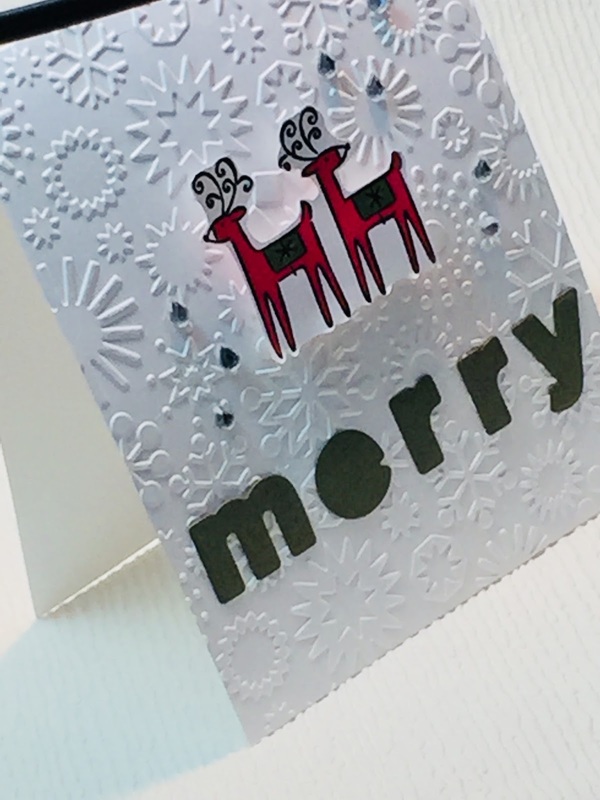 I love simple, iconic images like the reindeer in the card below. Keeping the whole CAS idea, I used them as the color focal point on an embossed, white background. For the single-word sentiment, I die cut "merry" using one of Cathy Zielske's alphabets. 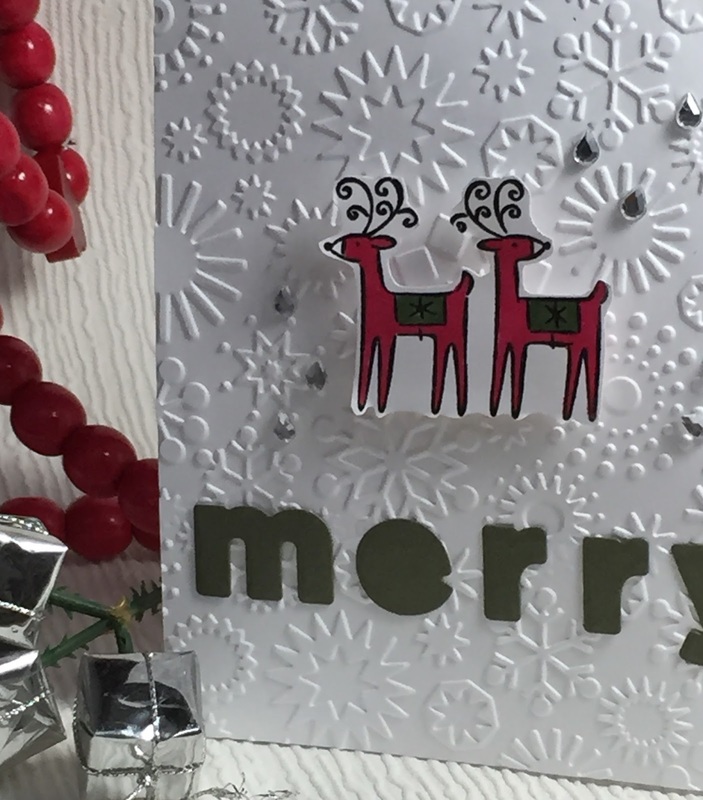 Although you can't see it, I added a little sparkle to the letters and reindeer with my Wink of Stella pen.